The landscape is changing at breakneck speed. Innovation threatens to outpace architects' and designers' working knowledge of materials thereby limiting their applicability. To create innovative design from concept to completion, a knowledge of the uses, properties, and sources of new materials is integral. The study and practice of architecture and construction of buildings, until recently, has largely focused on a few core materials while ignoring the better part of a lot of the innovative materials and products that we're seeing developed for buildings. Architectural education, until recently, in this country especially, has been focused a lot on theory and on everything from French philosophy to various formal explorations. 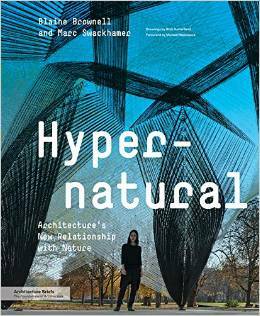 Certainly a lot of structures and nuts-and-bolts stuff as well, but not necessarily on this larger understanding of materiality and energy and resources in our worlds, and how architects can help to shape and respond to various problems or situations with regard to the greater material picture. 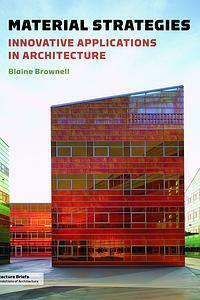 Blaine Brownell is an architect, sustainable building advisor, and researcher of innovative materials for architecture. 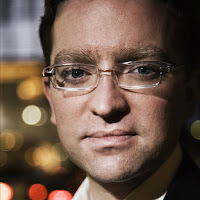 He is the founder and director of the design/research firm Transstudio, and has taught at the University of Michigan and the University of Minnesota. 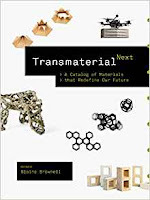 Blaine is the author of Transmaterial Series of books, published by Princeton Architectural Press. In Material Strategies: Innovative Applications in Architecture, Brownell shows architects how creative applications of the materials can achieve great environmental transformation. Blaine has practiced architecture in Tokyo, Nagoya, Houston, Seattle, and Minneapolis. His work has been published in A+U, Architectural Record, Architecture, BusinessWeek, Discover, Dwell, Fast Company, Forward, The Journal of Architectural Education, Materia, New Scientist, The New York Times, Popular Science, Sustainable Industries Journal, and the Seattle and Portland Daily Journals of Commerce, and he was featured as the cover story for an issue of Architect magazine. His work has been exhibited at the Seattle Architectural Foundation, Center on Contemporary Art, and Consolidated Works in Seattle, as well as at DiverseWorks in Houston, the Taubman College of Architecture + Urban Planning at the University of Michigan, and the Centre Universitaire Méditerranéen in Nice. Blaine was selected for a 2006 “40 Under 40” award by Building Design & Construction magazine, and was the recipient of a Fulbright fellowship to Japan, during which time he researched contemporary Japanese material innovations at the Tokyo University of Science.